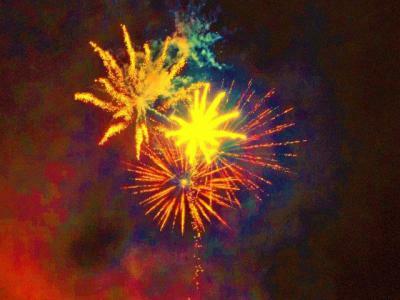 You may have already noticed that I have a gorgeous firework picture as my logo and navigation tab for my website. Look at it closely as it really is a very nice picture, but this is the reason why I chose this as my logo. “Firework” is a favourite song for me. It was chosen for me by my gorgeous daughter, who sent it through to me to give me courage and strength whilst I was going through some rather nasty treatment for cancer. I think the words of the song are very positive and motivational and just plain marvellous. They certainly helped me. It’s still a favourite song now and I listen to it as part of my vast collection of fave singles on my iPod, while I do my exercises, being the hip and trendy author that I am. Yeah. But it was whilst sitting over coffee with my Husband actually discussing whether or not to have a logo on my website when the song was played. Out of all the songs they could have played in that café, they chose “Firework”. To me someone, somewhere was telling me that my logo should be a firework. So my uplifting song has now become part of my website. How good is that!